What’s one of the biggest differences between the rich and poor in America, something that almost defines wealth and opportunity? It’s access to credit. It’s that ability to get the money you need, when you need it and at an interest rate that you can afford. The Census Bureau reports that nearly nine-in-ten households (87%) earning more than $100,000 a year own their own home while less than half (49%) of those families making less than $51,939 a year own their home. Behind this disparity and the opportunity in easy access to credit is your credit score, one number that can control your financial life. Beyond access to credit, your credit score can play a big part in how much you pay for insurance, getting a job or even renting. Taking control of your own future is about understanding what makes a good credit score and how to increase yours. Your credit score is a number from 300 to 850 and developed by the Fair Isaac Corporation. The number is based on your credit report from one of the three credit reporting agencies. Lenders pull your credit report from these agencies and use your score to determine whether to approve a loan application and at what interest rate you pay. Your credit report is a financial history of your debts, payments and public records. It lists each debt you have along with your history of payments, amount owed and other data. Lenders are free to use whichever of the three credit reports they choose to find your score. Because some lenders report to one credit reporting agency but not to others, your credit reports will differ slightly and you could have three different credit scores. Despite this, all three credit scores will usually be very similar. 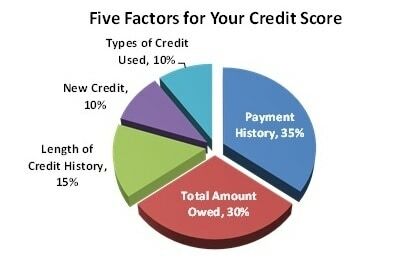 There are five general factors from your credit report that go into determining your credit score. Some of these credit score factors are within your control while others cannot be changed. 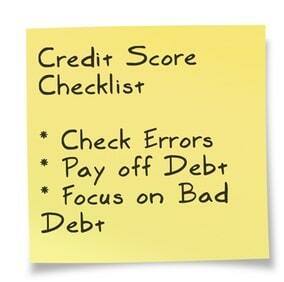 Understanding these factors will be important when we talk about improving your credit score later in the guide. Payment History (35%) includes all your late payments and the debts that have gone to collections listed on your credit report. Negative accounts drop off your credit report after seven to 10 years but will continue to hurt your score while they are listed. There’s not much you can do here other than to resolve to make on-time payments in the future. Total Amount Owed (30%) is a big part of your credit score and one of the few that you can control. This factor includes not just the amount of debt you owe but your credit utilization ratio which is the amount owed divided by your credit limits. Length of Credit History (15%) is another credit score factor over which you have little control. This includes not only your total length of credit history from your first credit accounts but the length of time in each credit account you have open. New Credit (10%) includes inquiries for new credit accounts as well as the amount owed and limits on new accounts. Applying for new credit cards and immediately charging up to the limit makes it look like you’ve got a spending problem and will decrease your credit score fast. Types of Credit on your Credit Report (10%) is a credit score factor most don’t know much about or how they can use it to increase their score. Some types of credit like credit card debt (revolving debt) affect your score to a greater extent than non-revolving debt like mortgages and personal loans. So lenders use your credit score to determine your interest rate or whether they will approve your loan application at all. I’ve used data from a peer-to-peer lending provider to find the average interest rate depending on credit score ranges. We’ll see later that one missed payment can decrease your credit score by as much as much as 110 points on the FICO scale. That’s enough to double the interest rate you pay on a new loan. But getting the money you need at a rate you can afford is only part of the reason why your credit score is so important. Since the 1990s, insurance companies have been using credit scores as a factor in insurance premiums, called credit-based insurance scoring. Nearly all of the major car insurance companies and 85% of home insurers use your credit score along with other data. People with bad credit pay nearly double (91% more) in insurance premiums compared to others. Your credit report and score may also be used when filling out a rental application or when you apply for a job. Evictions go on your credit report as public records and bad credit may keep you from getting a job in banking or financial services. Whether you use credit frequently or not, your credit score affects more than you may know. It’s important to understand your score and how to protect it. 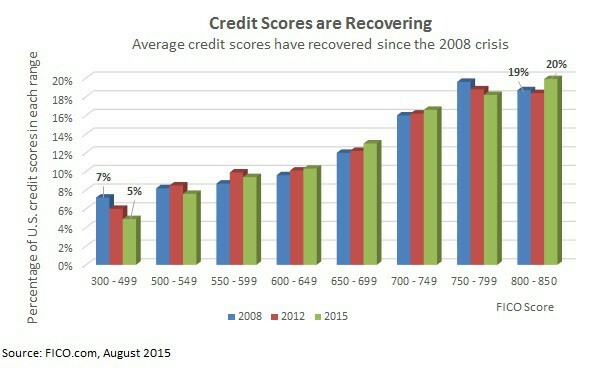 The financial crisis and widespread defaults destroyed credit scores but borrowers are slowly starting to recover their scores. 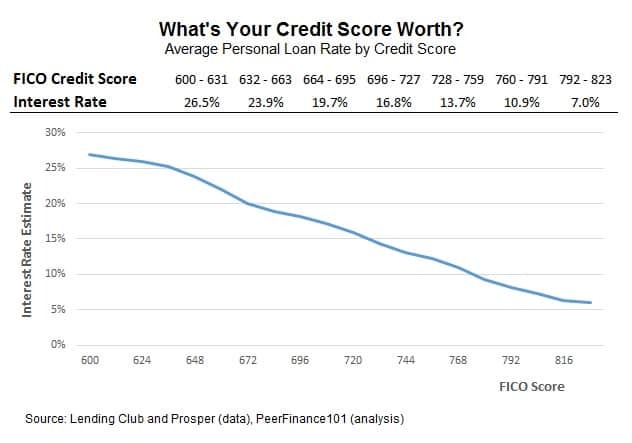 The average credit score is now around 690 FICO though one-in-three (31%) of Americans are stuck with sub-prime credit scores and have an extremely tough time getting the money they need. The cutoff for sub-prime credit is 660 FICO and is the point below which many banks and lenders will not approve your loan application. You may still be able to get a credit card or a personal loan but interest rates will be very high. Credit scores can be a problem for younger borrowers or people that have never used credit very much. 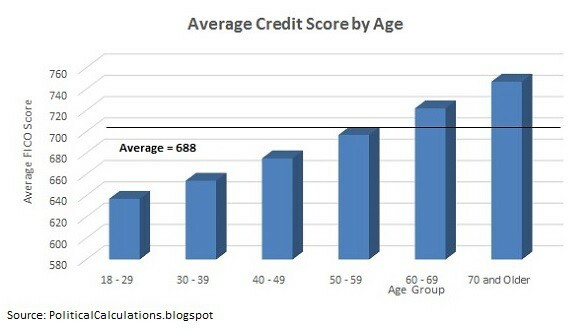 The chart shows the average credit score by age and a clear trend in scores. This doesn’t mean you can’t be young and have a high credit score. It’s important to start working on your credit score early, as soon as you turn 18, to start building your credit history. Of course, this doesn’t mean go on a shopping spree with money from new loans. Use your credit cards to buy essentials and pay the balance off each month. You’ll build an exemplary credit score and will be able to get the best rates on the big loans like mortgages when you need them. Lenders will have a different opinion on what is an acceptable credit score to approve your loan. There’s no single ‘cut off’ score to get a loan because it depends on each bank or creditor’s standards. Some lenders will approve loans below the prime score. What constitutes a good credit score will also depend on the type of loan. Even low credit scores below 660 may be able to get you a credit card or car loan. 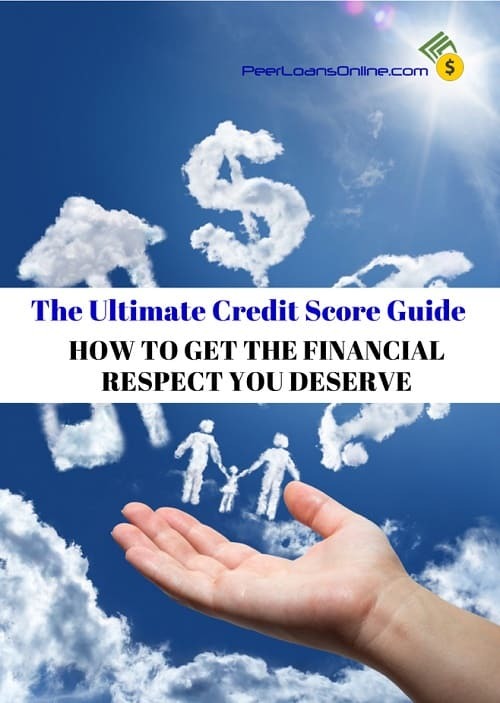 Credit scores for unsecured loans from a bank generally require at least a score of 680 FICO and the score required for a mortgage may be even higher. While it’s hard to say what is a good credit score, you’ll definitely know it if you have a very good or very bad credit score. A score below 660 will severely limit your options for loans and your interest rate will be 20% or higher. A score above 750 FICO will be met by smiling loan officers and super-low interest rates. The most obvious ways to ruin your credit score are to stop paying your bills or file bankruptcy. FICO reports that just one missed mortgage payment more than 90-days late can decrease your credit score by as much as 130 points. Filing bankruptcy can decrease your FICO score by more than 200 points. These credit-destroying mistakes affect higher scores more because they have the furthest to fall. You can spend your life protecting your credit score and then lose it all with one hiccup. Missing payments is not the only way to ruin your credit score. Court judgements against you such as evictions and refusing to pay alimony will go on your credit report and hurt your score as well. Most remarks on your credit report will stay on there for seven to ten years. This includes missed payments and bankruptcies as well as closed accounts. Lenders like to see consistency in your credit history which means not scrambling for more money (i.e. sudden credit inquiries) or panicking and closing all your credit accounts. While late payments and other bad remarks will stay on your credit report for year, your credit score will start to increase sooner as long as you make on-time payments. FICO reports that it takes between nine months to three years to recover your credit score after paying a mortgage 30-days late even though the remark may stay on your report for longer. It will take much longer to recover your credit score for worse financial mistakes. FICO data shows it takes from three to seven years to recover your score after a foreclosure and up to ten years to fully increase your credit score after a bankruptcy. I put together a detailed guide of 21 steps to fix your credit score fast in a previous post. I’ll share the highlights that have worked for me as well as some tricks I’ve learned from readers. It’s important to check your credit report each year. Up to one-in-five credit reports contain an error including accounts that aren’t yours and mistakes in your credit history. 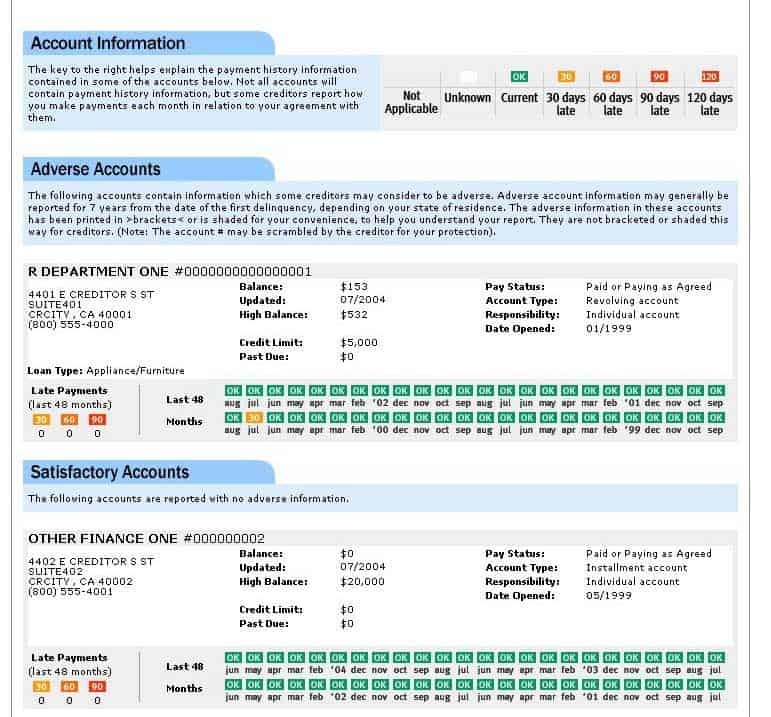 You can write to the credit reporting agencies to get these removed and boost your score. Pay down your debt as much as possible at least two months before applying for a new loan to give your credit score time to adjust. Focus on paying off or decreasing the amount you owe on credit cards and other revolving debt. This is the type of debt that hurts your credit score the most. Consider getting a non-revolving personal loan to pay off your high-interest credit cards. Ask to increase your credit limits to improve your credit utilization ratio. This isn’t a reason to spend more but an easy trick to make your credit report look stronger. Don’t apply for any new loans within six months of a major loan application. Lenders don’t like to see lots of loan inquiries on your credit report. How Often Does Your Credit Score Update? Your credit score can change anytime there is a change in your credit report. Any of the following changes can cause your credit score to decrease? With the potential for any of these to affect your credit score, you can see how your FICO score could change frequently. Improving your credit score can be frustrating because it can take weeks or longer to see changes in your credit report or FICO score. The credit reporting agencies may update your report daily but lenders and credit card companies may take longer to send their updates to the agencies. That means after doing something to improve your credit score like paying down your credit card balance, you may have to wait a month or more for the credit card company to report it on your credit report. Besides the time it takes for lenders to update the credit reporting bureaus, some information like bankruptcies and missed payments will stay on your report for years. You credit score will improve big time when these drop off your report. Remember that creditors might not report to all three credit report agencies so each of your three credit reports will be slightly different. This means that your credit score will be different depending on which credit report is used by a lender. Your credit score isn’t just a random number imagined by banks. It’s a very important piece in your financial toolbox and can be key to more decisions than you know. From getting the money you need to renting an apartment and landing a job, a good credit score can unlock a lot of opportunities. Protect your score and learn how to fix bad credit to get back on track.